The applicants must be 16-24 years old and live in the L.A. area. The Rotary family members are not eligible. Upon application review and face-to-face interview, one or two youth will be awarded $1,000 each. Please send your applications via e-mail to handa.scholarship@gmail.com by 11:59 pm on May 31, 2019. 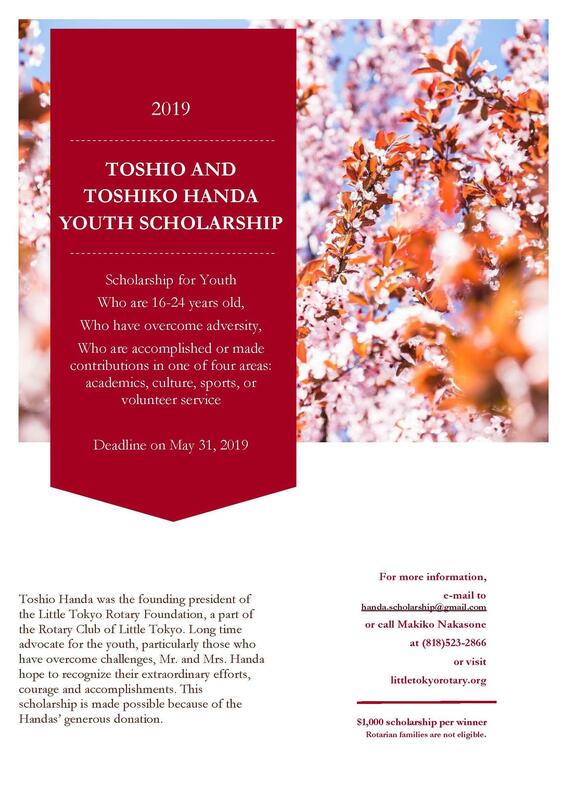 For more information, please contact us via above e-mail or call Makiko Nakasone at (818)523-2866.